Sewing is a great skill to have. 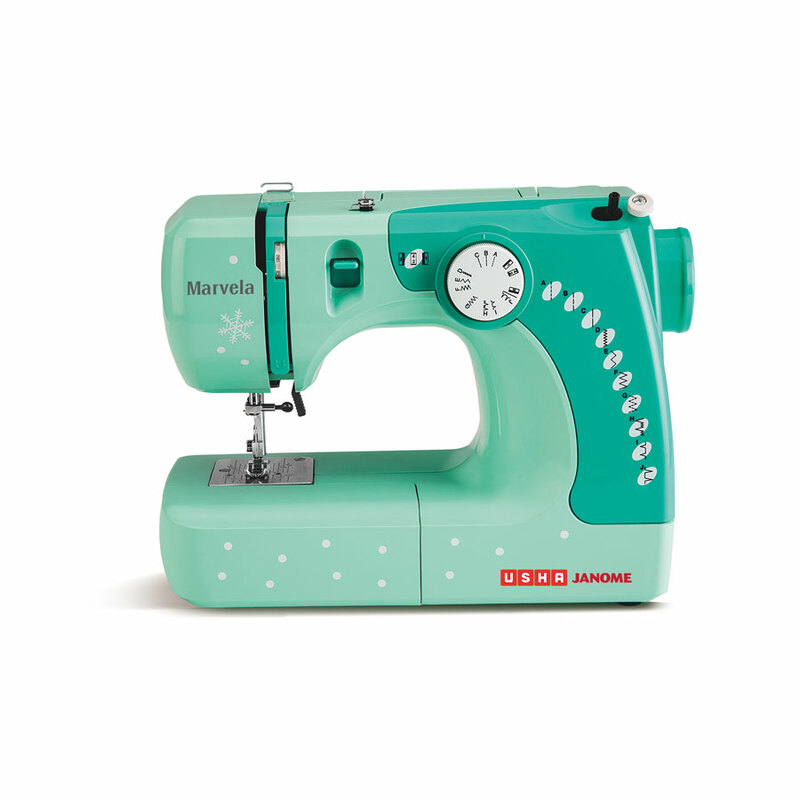 And in the not to distant past everyone knew how to sew. 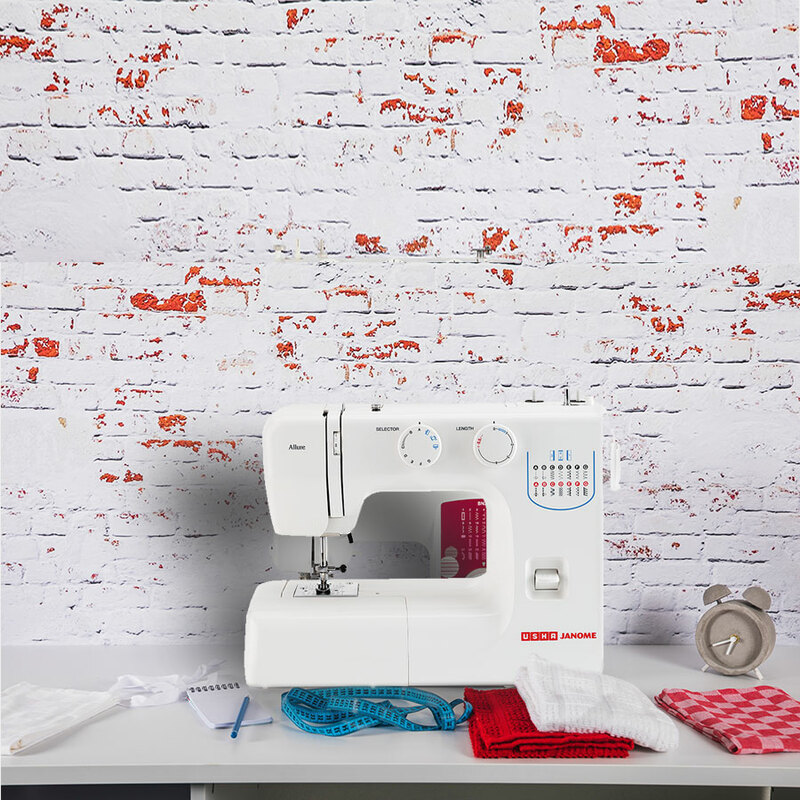 Whether it was a button or it was hemming up a pair of jeans, there was always somebody at home that could get the job done. 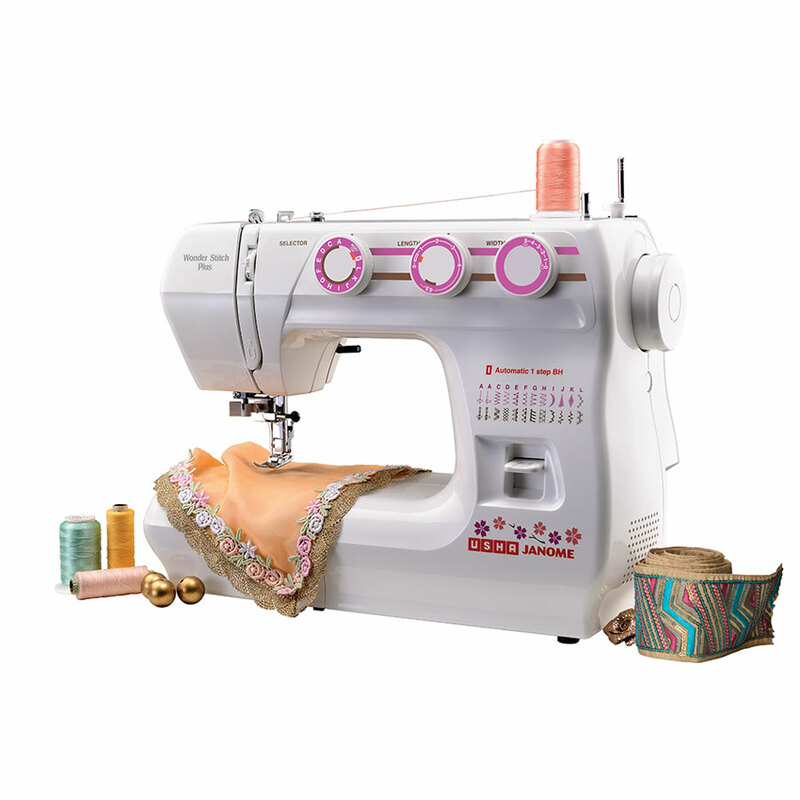 Today unfortunately not many people know how to sew and a lot of us have not even sat in front of a sewing machine. If you ask people why, then most reply that it is a complicated task, which is dull and boring. Nothing could be further from the truth. 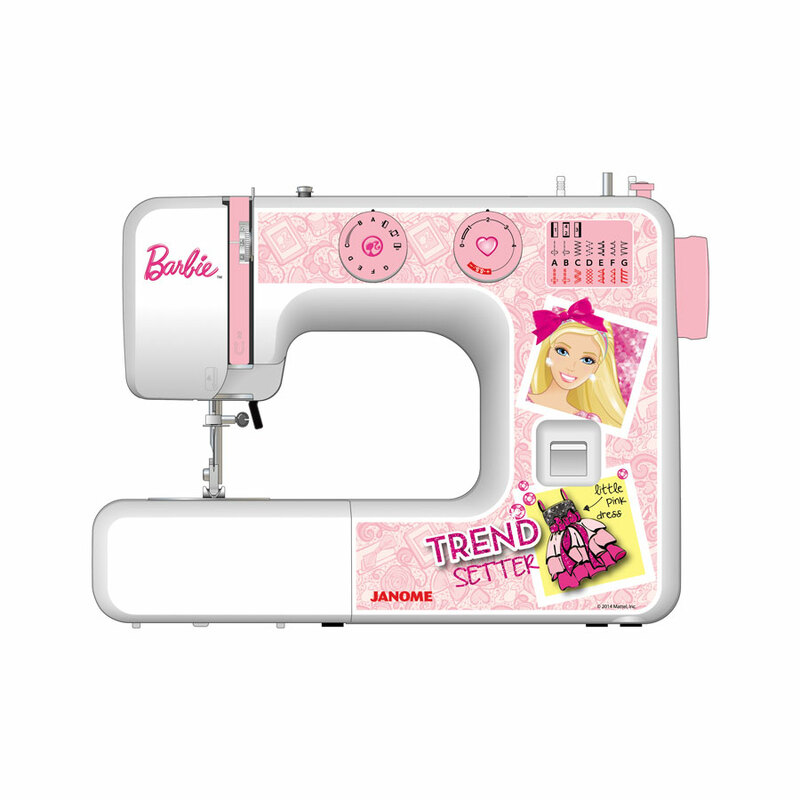 Thanks to the leaps in sewing technology this is one of the easiest skills to pick up. Machines now are electric, easy to operate and some even have computers on board. 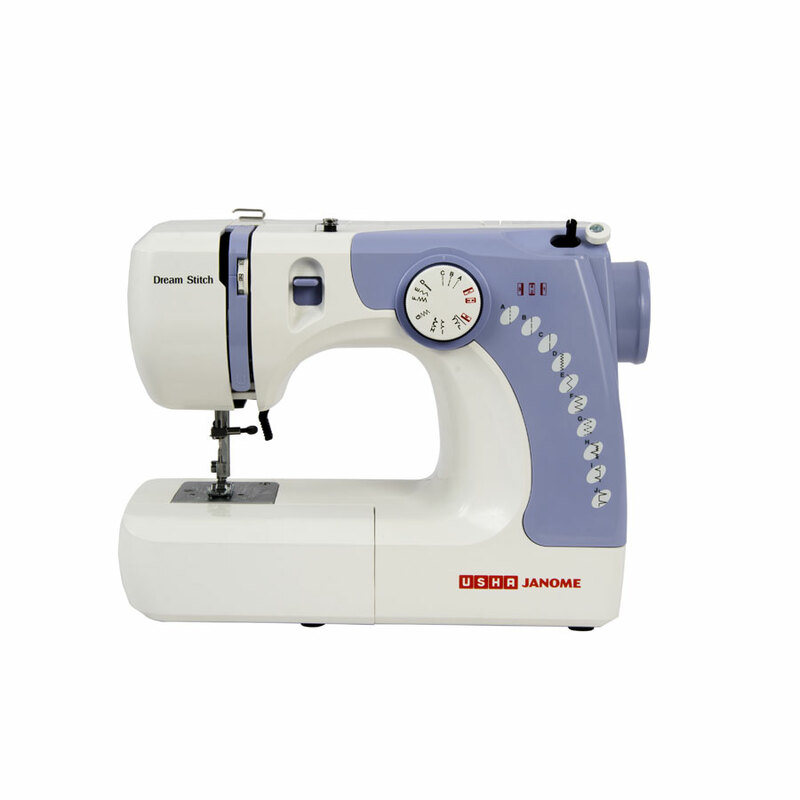 Usha makes a wide range of sewing machines. 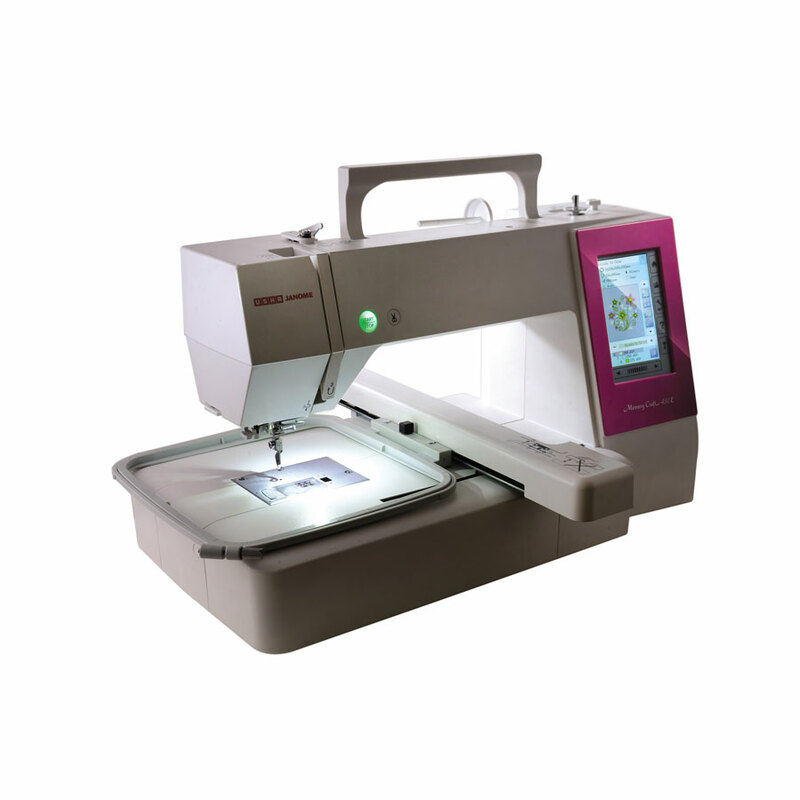 The models range from simple hand operated ones to machines that can be programmed to turn out designs automatically. Sitting in the middle of this range is one of the finest machines and it is called Usha Allure Dlx. 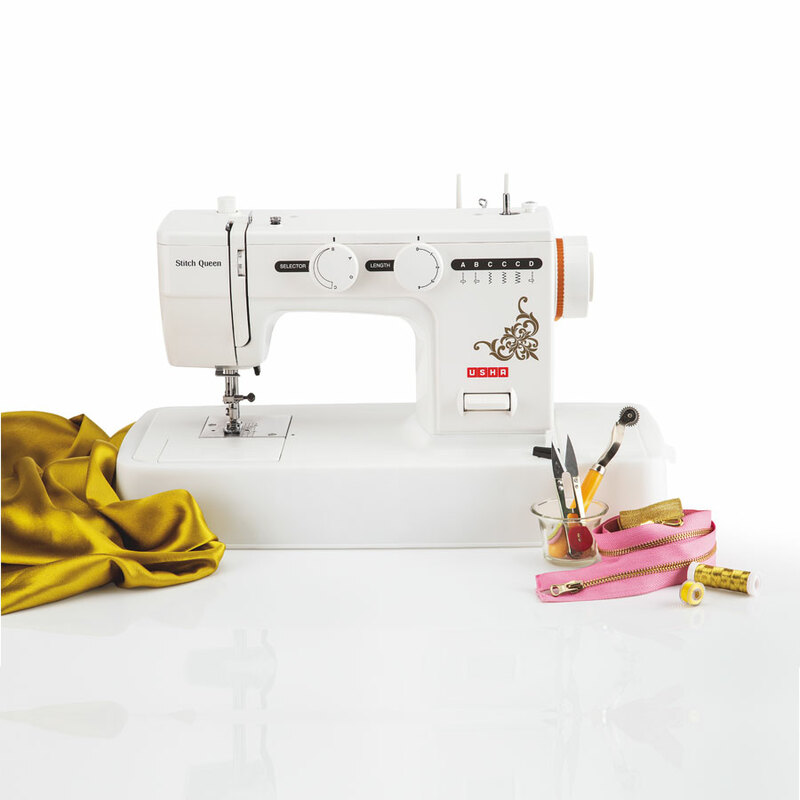 Let us explain how an Usha Allure Dlx can change the way you look at sewing. We’ll name a problem and show you how the Usha Allure Dlx just makes it go away. Let’s take this one at a time. 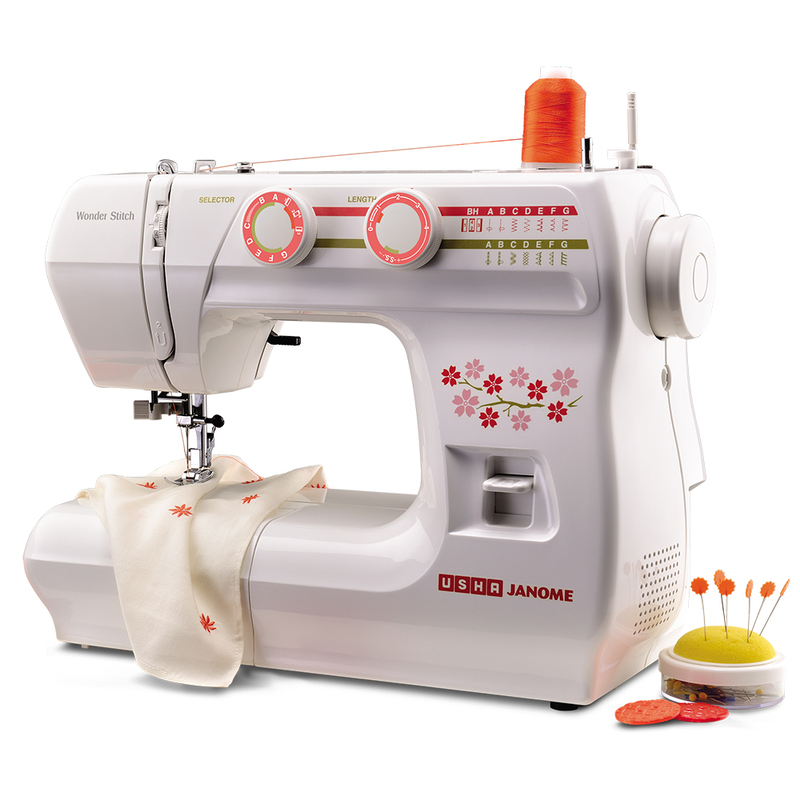 Now a lot of people stop before they can start because they do not know how to set up a machine and thread the needle. You don’t need to struggle with that anymore. All you need to do is watch the video and follow the instructions. And you will find the thread is in the needle before you know it. All the steps that follow have also been explained in the video. 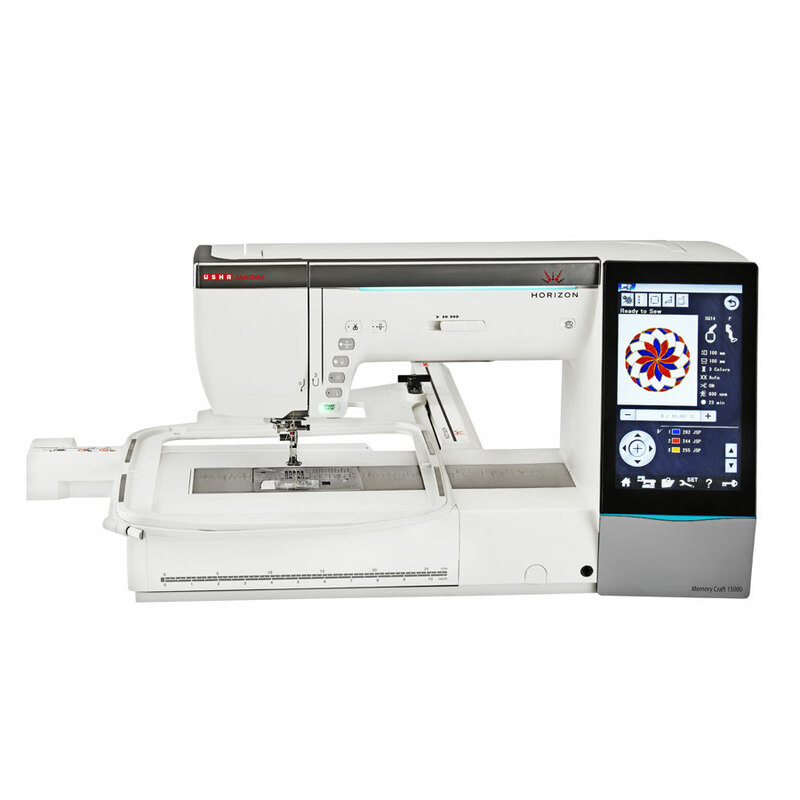 At the end of which you will be able to spool a bobbin, adjust stitch lengths, change stitch patterns and know the ins on outs of your machine. 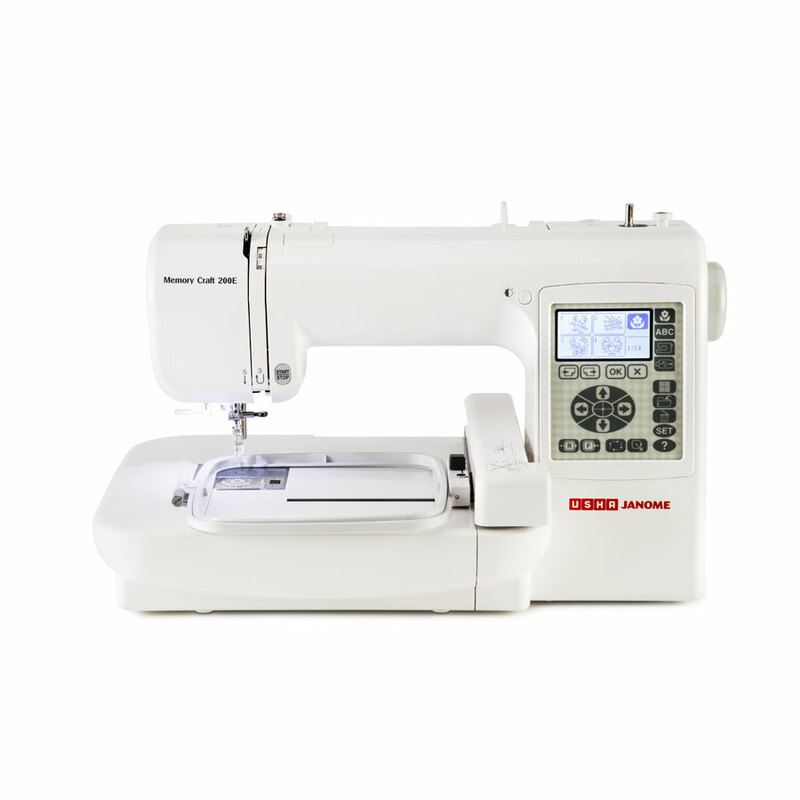 The Usha Allure Dlx is a fully electric sewing machine. You don’t need to exert yourself or even sweat a bit. All you need to do is press on the little foot pedal to start. This works exactly like an accelerator in a car. The harder you press the faster the machine goes. And we are talking about hundreds of stitches a minute. So the excuse of it being too tiring does not exist any more. Yes you are right . 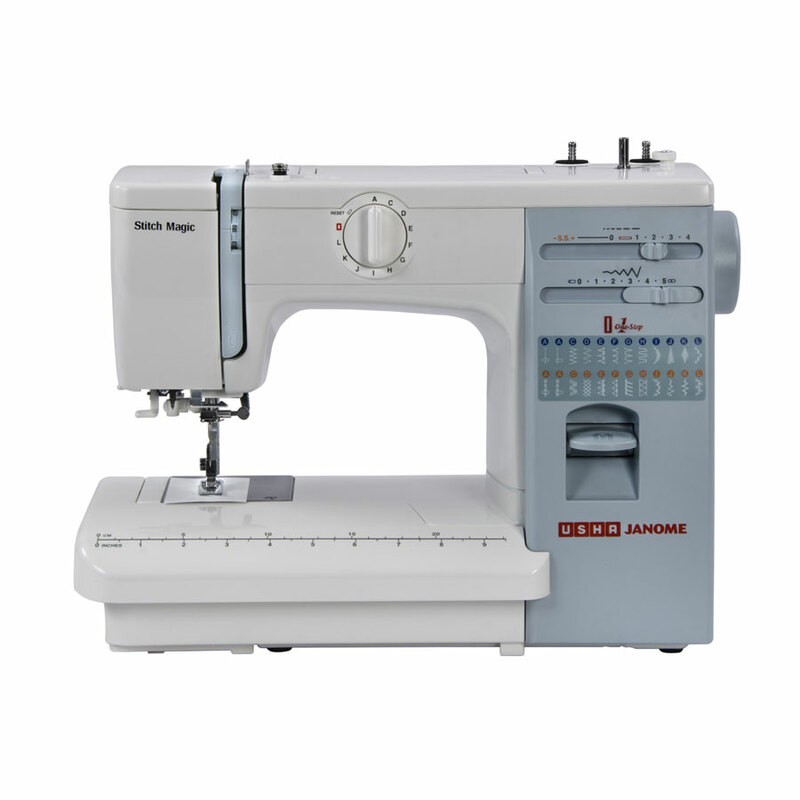 A sewing machine cannot bake a cake. 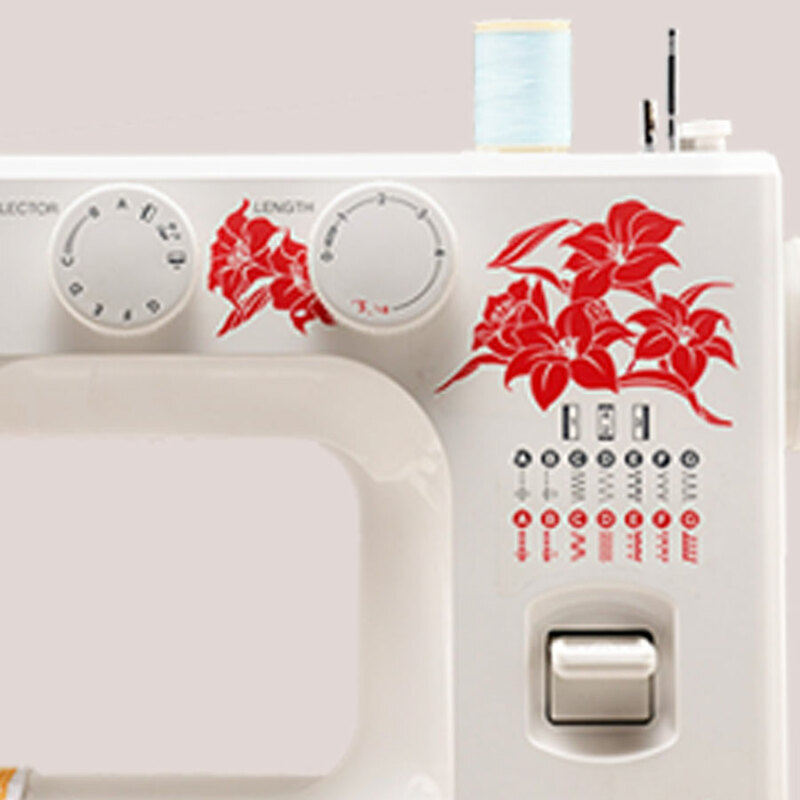 But when it comes to sewing the Usha Allure can do it all. 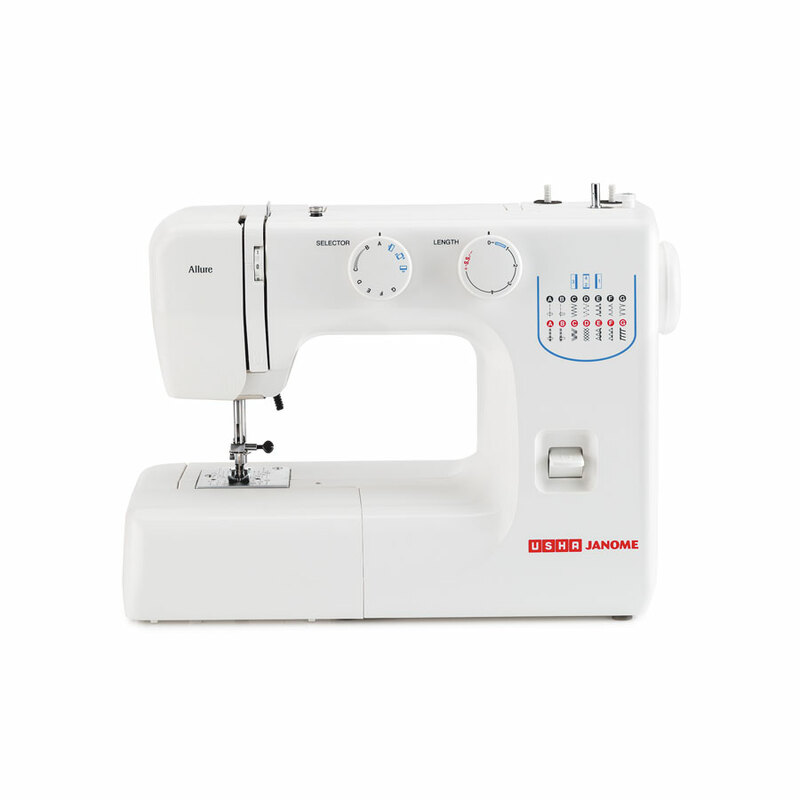 It has multiple stitch patterns, adjustable stitch lengths, button holing and stitching and a host of other features that will make life easy and sewing fun for you. Let’s talk about button sewing. Till a short while ago you have to do this by hand or get a professional to do it. Now with the Usha Allure Dlx even a young child can do this once they have understood how to use the controls. All it takes is setting the needle to the button size and then just stepping on the pedal. That’s it, the job is done. Nothing can be further from the truth. 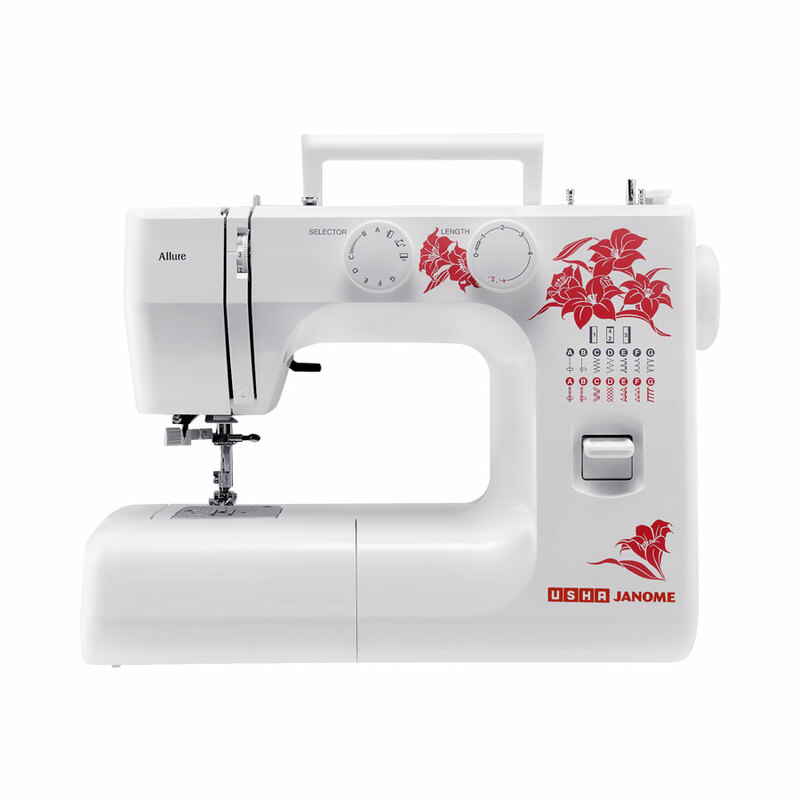 The Usha Allure Dlx is a fine looking piece of equipment, in fact all the Usha sewing machines are wonderful to look at. They come in clean colors with great graphics on them. If you are an engineer or like mechanical stuff you will be amazed at the precision and attention to detail that the machine is made with. This is a piece of equipment where everything fits and works like clockwork. The needle moves at hundreds of stitches a minute and is smooth from the first stitch to the last. Now that is real engineering. Great for a beginner. Even better for a pro. 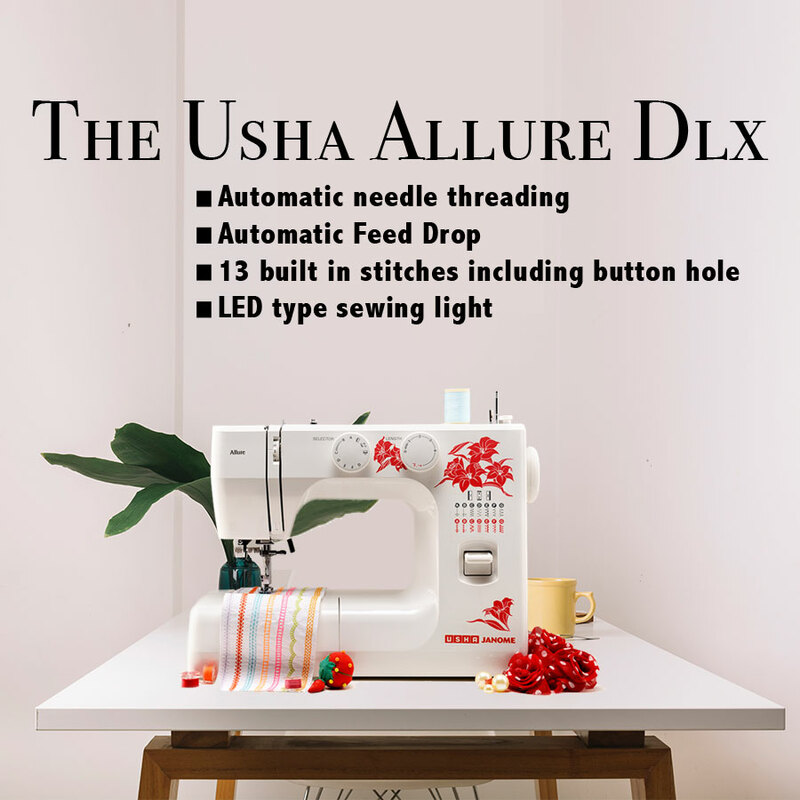 The Usha Allure Dlx is a great machine to start sewing with, that we all understand. But what makes it even better is the fact that you can continue to grow with this machine. As your skills get sharper and you start doing more with them you will see that the Usha Allure Dlx keeps up with you. 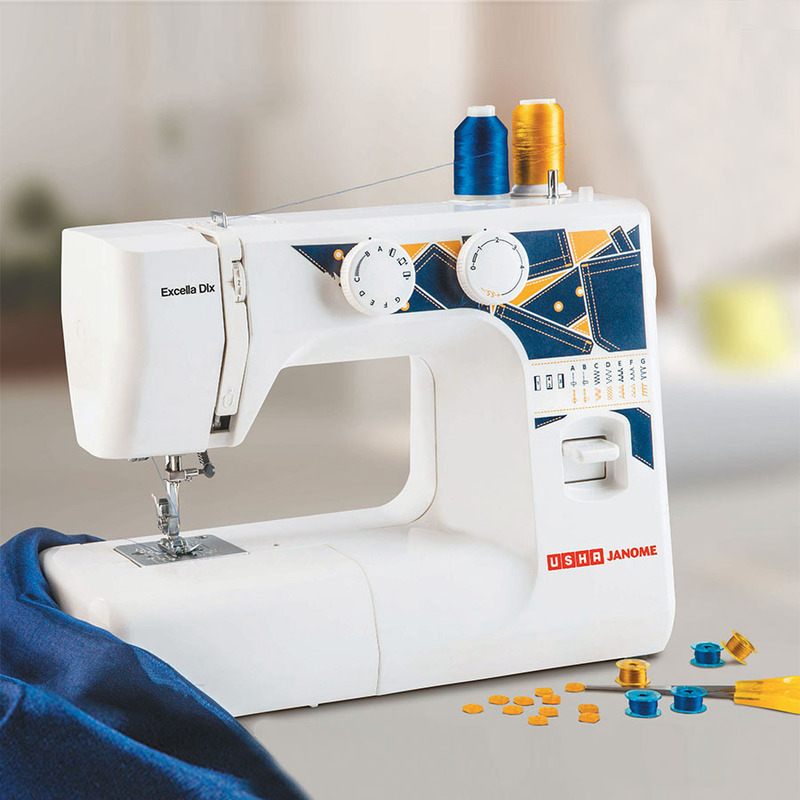 It comes with everything you need built in – stitch patterns, stitch lengths, button holing, button stitching and a lot more. 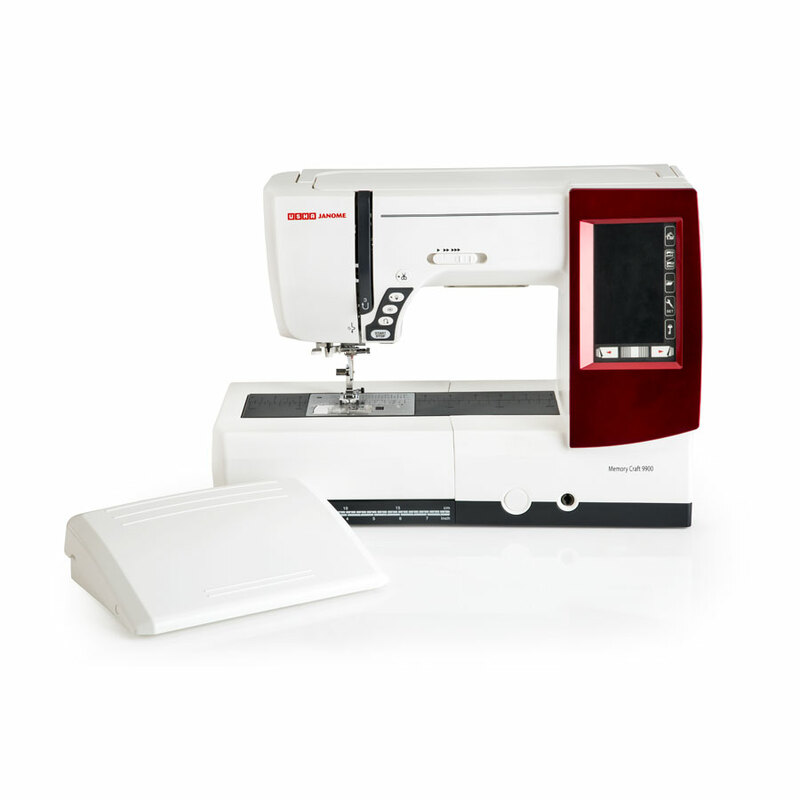 We are like proud parents who love our machines, especially the Usha Allure Dlx. That is what we believe that the proof of the pudding is in the eating. So we invite you to come try out the Usha Allure Dlx and see how it performs. 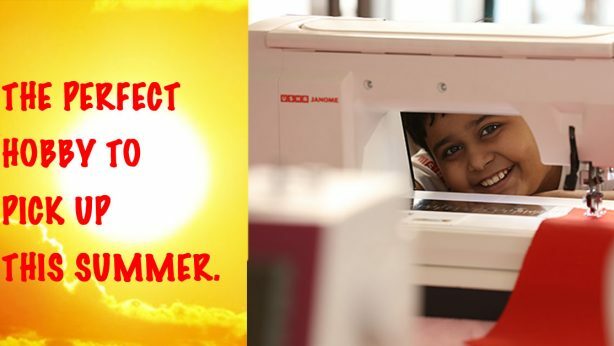 You can do this by calling up the Helpline number on the top of the page or by visiting one of our many dealers or Usha Sewing Schools. Find the nearest one with the locator tool on the top of the page. 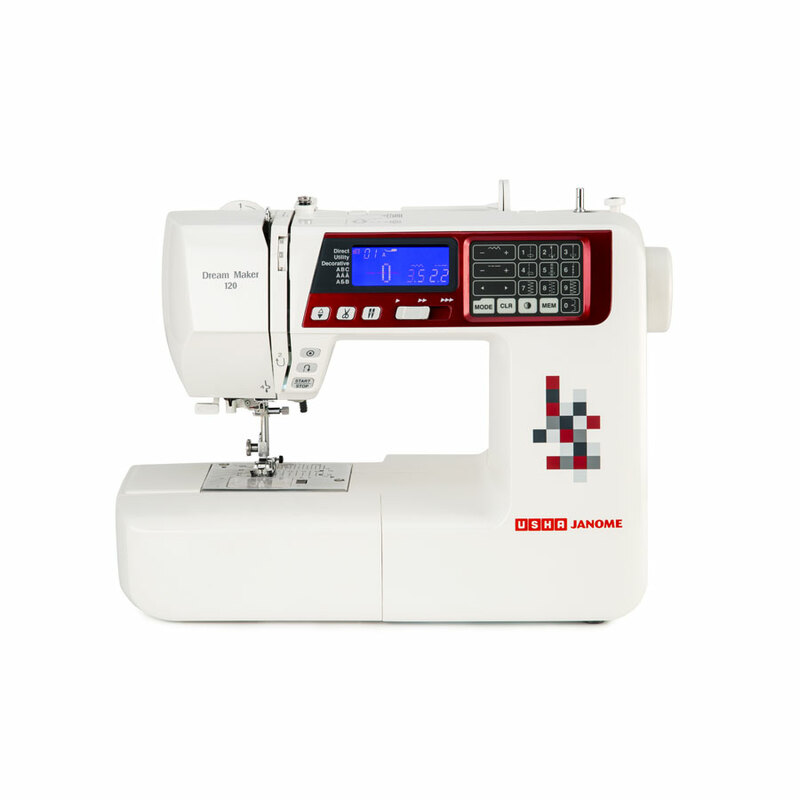 When you do get your Usha Allure Dlx sewing machine home, head straight for ushasew.com. 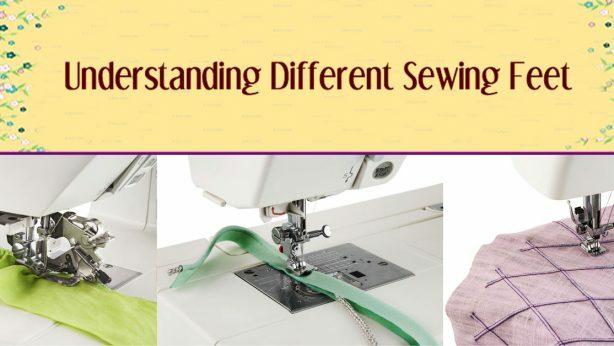 Here we have lessons and projects that have been designed to give you a solid foundation in sewing. You will find these lessons and projects first teach you the basics and then show you how to use your skills in the most interesting way. All the videos are available in 9 Indian languages. When you do start making the projects do share your creations on our pages on any of the social nets. You’ll find the links below. If you need help or more information call us on our helpline.